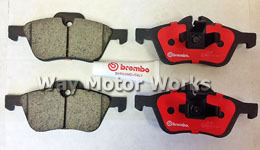 R53 MINI Cooper S 2002-2006 Brake parts and Accessories. 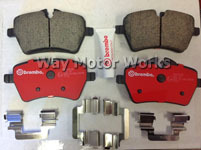 This includes parts manufactured by EBC, Carbotech, WMW, JCW, Hawk, ATE, Motul, Zimmerman, TSW, and Wilwood. We carry and stock brake pads, brake rotors, stainless steel brake lines, brake duct kit, Big brake kits, and brake fluid.